This case study describes the environmental damage caused by the conflict between Israel and Lebanese Hizbollah forces in July 2006. The conflict began when Hizbollah militants crossed into the Israeli territory and attacked Israeli forces. Israel responded by launching massive air strikes and combat operations in Southern Lebanon. After a month of fierce fighting the conflict caused significant damage to the environment in the region. 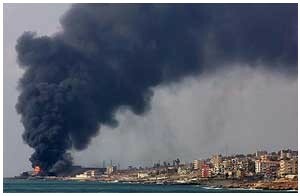 A massive oil spill from the bombing of Jiyyeh power plant significantly polluted the coastline in Lebanon and several neighboring countries. Israeli bombing led to hydrocarbon contamination, groundwater contamination, and up to a million of unexploded cluster bombs spread throughout Lebanon. Hezbollah rocket attacks started forest fires in northern Israel that destroyed an estimated 3,000 acres of forest. The hostilities on the Israeli-Lebanese border started on 12 July, 2006 when Hizbollah, launched several rockets towards Israel’s territory, crossed the border into Israel and attacked an Israeli patrol, capturing two soldiers, and killing three (UNIFIL). In response to the attack, Israel launched a number of artillery and air strikes on targets across southern Lebanon, destroying bridges, highways, and airports. Hizbollah responded by launching rockets against northern Israeli cities and Israel followed with a full ground offensive of southern Lebanon (“The Israel-Lebanon Crisis”). At the beginning of the crisis the UN Security Council was not able to reach consensus on how to end the hostilities. Secretary-General Kofi Annan called for immediate ceasefire, supported by Lebanon’s government and many Arab states. The US, on the other side, was more supportive of Israel and its right to self-defense. European countries remained somewhat neutral, condemning Hizbollah attacks, yet urging Israel to maintain proportionality of its response (“The Israel-Lebanon Crisis”). Following a line of negotiations, on 11 August 2006 the UN Security Council finally passed resolution 1701 that called for immediate cessation of all military operations by both sides to the conflict. Israel was to withdraw from southern Lebanon and Hizbollah was to cease its rocket attacks (“The Israel-Lebanon Crisis”). The Lebanese Government agreed to deploy 15,000 troops in Southern Lebanon and UNIFIL extended its presence from 2,000 to 15,000 troops to support Lebanese forces in monitoring the ceasefire (“The Israel-Lebanon Crisis”). As a result of the conflict, more than 1,100 Lebanese died, more than 4,000 had been injured, and over one million Lebanese were displaced for the duration of the war. The conflict caused tremendous damage to Lebanon’s infrastructure. As a result of Israeli bombing, 80 bridges, 900 factories and commercial buildings, airports and an estimated 15,000 homes were destroyed. On the Israeli side, the conflict led to death of 43 civilians and 117 IDF soldiers. An estimated 4,000 Hizbollah rockets landed in Israel during the conflict; 300,000 Israelis were displaced and more than a million had to live in shelters to avoid rocket attacks (UNIFIL). In addition to causing over a thousand deaths and immense human suffering, the conflict had been extraordinary damaging to the environment. In addition to the most high profile case of the immense oil spill resulted from the bombing of Jiyyeh plant, the conflict caused large areas of agricultural land to be contaminated with unexploded ordinance, and ground and surface water pollution (UNEP 6-7). The 34-day war between Israel and Hezbollah affected surrounding environment in a number of ways. The environmental implications of the conflict ranged from air and water pollution to forest fires and waste problems and have extended beyond the territory of the two countries, often affecting several countries in the region. 1. Sea Pollution: The most well-known and one of the most serious cases of the environmental damage caused by the Israel-Lebanon conflict is the massive oil spill that resulted from the Israeli bombing of the fuel tanks at the Jiyyeh power plant in Lebanon. It is estimated that between 10,000 and 35,000 metric tons of oil have spilled into the sea (“Oil Spill”). The spill affected an estimated 150 kilometers of Lebanese coastline, including beaches, ports and marinas. While most of the oil released burned out or spilled into the sea, it is estimated that significant amounts also seeped in the rock underneath that has potential to contaminate groundwater wells in the area (UNEP 45). 2. Air Pollution: The strike on the fuel tanks resulted in massive fires that burned for up to 27 days. The smoke from the fires released a number of pollutant into the atmosphere, including soot, particulate matter, carbon monoxide, and methane. A combination of these pollutants is likely to cause respiratory problems for local residents (UNEP 45). 3. Land Pollution: In addition to the oil spill at the Jiyyeh plant, several other sites such as Beirut airport, several industrial factories, and petrol stations showed various levels of hydrocarbon contamination (UNEP 160). 4. Groundwater Contamination: Groundwater was also contaminated in several sites due to chemical spills, as in the case of Ghabris detergent factory in Tyre where bombing caused large quantities of chemicals being spilled into soil and water. 5. 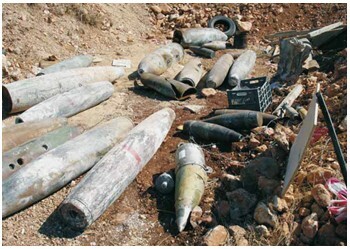 Cluster bombs: IDF used cluster bombs throughout the conflict. Cluster bombs contain several hundreds of smaller sub-munitions or bomblets in them and are usually dropped from the air. The bomblets often fail to detonate on impact and remain on the ground until further contact with humans or environment. One cluster bomb releases enough bomblets to contaminate an area of up to eight acres (UNEP 150). The unexploded bomblets present great hazard to civilian population and restrict access to agricultural land. It is estimated that there were up to one million unexploded bomblets in Lebanon after the conflict (UNEP 154). 6. Additional environmental problems: Some other environmental problems in Lebanon that were caused by the conflict include solid waste management, hazardous healthcare waste contamination, and damaged sanitation and wastewater infrastructure. On the Israel’s side, most of the environmental damage resulted from Hezbollah rocket attacks that started several forest fires in northern Israel. It is estimated that as much as 3,000 acres of forest in Israel have been damaged due to the rocket attacks (Kraft). In addition, Israel had to modify parts of natural landscape in the northern Israel in order to build new military bases and patrol roads (Heilman). Lebanon has temperate Mediterranean climate that ranges from mild to cool. Winters are generally wet, while summers are dry and hot (“CIA World Factbook”). Due to topological variations climate differs in parts of Lebanon. On the coast, summers are hot and humid with little or no rain while winters are generous in rainfall and relatively warm due to a hot wind blowing from the Egyptian desert. In the mountainous parts of Lebanon, winters are colder with more rainfall and snow while summers are dry and hot (Library of Congress). Sites of environmental harm that resulted from the conflict are present in several countries in the region. While most of the damage is certainly concentrated in Southern Lebanon and Northern Israel, several other countries were also affected by the conflict. For example, the massive oil spill from the Jiyyeh power plant affected not only Lebanon and Israel, but also the coastline in other neighboring countries, most notably Syria, Turkey and Cyprus (“Oil Spill”). The nature of conflict between Hezbollah and Israel in the summer of 2006 can be categorized as a war. However, it has to be mentioned that the conflict does not fit within traditional categories of interstate vs. intrastate conflicts. The conflict took place between Israel – a state, on the one side, and Hezbollah – a political Islamist group with military and civilian arm, on the other. Although Hezbollah has representatives in the Lebanon’s Parliament and is politically involved in the country, its actions were not state-sponsored and cannot be attributed to Lebanon as a nation-state. Therefore, the conflict can be categorized as a war between a state and an external non-state actor (Human Rights Watch). The level of conflict between Hezbollah and Israel is comparatively low. On the Lebanon’s side, over one million people were displaced for the duration of the war. The conflict caused tremendous damage to Lebanon’s infrastructure. As a result of the bombing, 80 bridges, 900 factories and commercial buildings, airports and an estimated 15,000 homes were destroyed. On the Israel’s side, the conflict displaced over 300,000 for the duration of the war and more than a million had to live in shelters to avoid rocket attacks. An estimated 4,000 Hizbollah rockets landed in Israel during the conflict, causing damage to infrastructure and environment (UNIFIL). As a result of the conflict, more than 1,100 Lebanese died and more than 4,000 were wounded, mostly as result of the air bombing campaigns. On the Israeli side, the conflict led to the death of 43 civilians, mostly as a result of rocket attacks, and 117 IDF soldiers (UNIFIL). 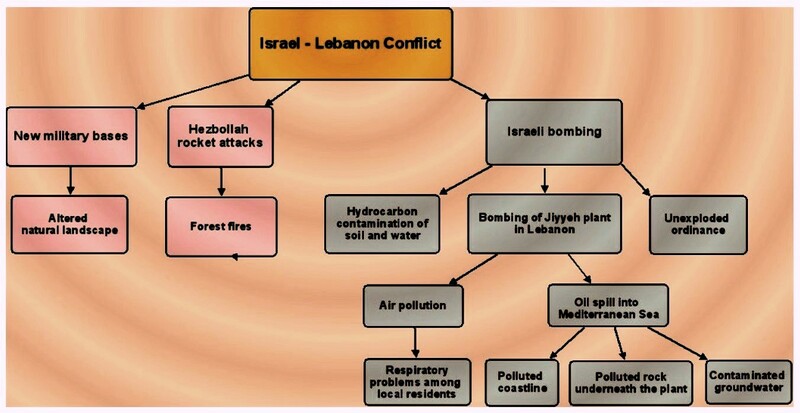 The 2006 Israel-Lebanon conflict is characterized by a direct causal relationship between conflict and environment. The fighting between the two parties was mostly done by means of bombing campaigns on the Israeli side and rocket attacks on the Hezbollah’s side. Israeli bombing led to hydrocarbon contamination of soil and water in Lebanon. Most known environmental case was Israel’s strike on Jiyyeh plant in Lebanon that caused a massive oil spill and air pollution from fires that lasted for many days. The oil spill led to coastline pollution in several countries, polluted rock underneath the plant and contaminated groundwater. In addition, Israeli bombing left a large amount of unexploded ordinance throughout Lebanon, most notably up to one million of unexploded cluster bombs. Hezbollah rocket attacks caused several forest fires in Israel. Israel also had to alter some of its natural landscape in the North to accommodate new military bases. On 11 August 2006 the UN Security Council passed resolution 1701 that called for immediate cessation of all military operations by both sides to the conflict. Israel was to withdraw from southern Lebanon and Hezbollah was to cease its rocket attacks (The Israel-Lebanon Crisis). Lebanese Government agreed to deploy 15,000 troops in Southern Lebanon and UNIFIL extended its presence from 2,000 to 15,000 troops to support Lebanese forces in monitoring the ceasefire (UNIFIL). Lebanon – landmine (Case 116): According to the UN there are more than 100 million unexploded landmines in more than 60 countries. More than 20,000 people are killed by landmines per year of which the majority are children. It costs $3 to make a landmine but hundreds of times more to dismantle it. In Lebanon, since the beginning of the war in 1975, more than 1,200 Lebanese were killed because of the Israeli Landmines. This does not include the thousands that were killed also because of the Lebanese militias the Palestinians as well as the Syrians. This is of course a high number in proportion to the Lebanese population of 3.5 million people. Cedars of Lebanon (Case 59): From 2,600 B.C. to 138 A.D., various cultures populated the Middle East including the Canaanites, Aegeans, Armenians, and Phoenicians. During this time, these peoples gradually finished the destruction of the famed Cedars of Lebanon that Gilgamesh earlier had begun. For nearly three millennia, cedar and other timbers from Lebanon served a variety of needs: fuel, ship material, building material, and household usage. Through cities such as Sidon and Tyre, wood was also exported to Palestine and Egypt, areas with large populations and relatively little forest cover. The result was large-scale deforestation. The scarcity of trees was so noticeable that, over time, the few remaining tall trees even became objects of worship. Lebanon Civil War and Waste Dumping (Case 65): An Italian firm, Jelly Wax, allegedly shipped over 2,400 tones of chemical wastes to Lebanon between September, 1987 and June, 1988 through ports outside Lebanese government control. 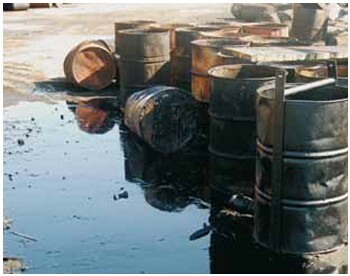 On June 5, 1988, barrels of Italian hazardous wastes were discovered on the Kerswan shore, north of Beirut. Soon barrels that had been dumped at sea were discovered by fishermen in the southern port of Tyre, to the south of Beirut. 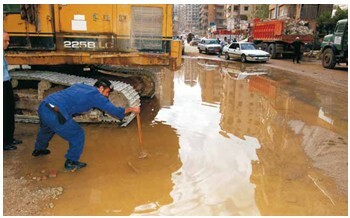 An additional 2,411 tones of wastes were discovered in East Beirut and Ghazir, 25 kilometers north of Beirut. 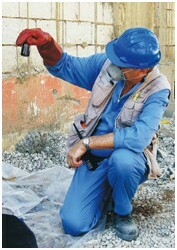 After initial government inability to force Rome to remove the wastes, threats by Lebanese terrorist organizations led to Italian clean-up efforts. Litani River and Israel-Lebanon (Case 14): In the Middle East, the supply of water is much less than its demand, thereby resulting in conflict over it. This is true for Israel and Lebanon, where there have been struggles, although not always armed, for the waters of the Litani River. At this point, Israel occupies southern Lebanon. Part of the Litani is located in this region. There are conflicting reports and conclusions over whether or not Israel is using the Litani. There is also a verbal struggle over which country needs the Litani more, could make best use of it, and who, therefore, should develop their use of the Litani. Although there is not an armed struggle over it now, it has been involved in armed struggles in the past (in the 1967 war, and in 1982) and it is conceivable that in the future the struggles over it may become armed. Kuwait (Case 9): The environment always seems to be the victim of war, and the scenario was no different in the case of the Persian Gulf Crisis from 1990 to early 1991. The ecological and economic impact of the Gulf War began on August 2, 1990 when Iraq invaded Kuwait and the full impact probably will not be realized in the near future. What can be determined is that Kuwait suffered severe losses not only to its oil industry, but also to its ecological system. The scale of damage was enormous, ranging from destruction cased by oil fires and oil spills, to economic decline for the Kuwaiti oil industry. This paper assesses the environmental and economic consequences of the Gulf War on Kuwait. Djerejian, Edward P. 2006. From Conflict Management to Conflict Resolution. Foreign Affairs November/December: 41-48. Heilman, Uriel. War in North Leaves Deep Scar on Israel’s Forests and Wildlife. JTO News August 8, 2006. Kraft, Dina. Dry Forests in Northern Israel Are Damaged as Hezbollah’s Rocket Attacks Ignite Fires. New York Times August 8, 2006. 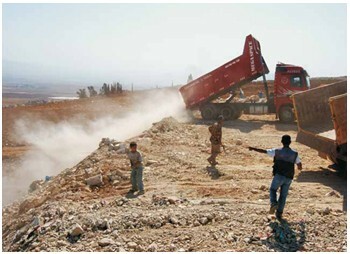 Lebanon: Pose Conflict Environmental Assessment. 2006. Nairobi, Kenya: United Nations Environment Programme. The Israel-Lebanon Crisis. 2006. International Debates 4(6):1-1. UNEP – United Nations Environmental Programme. 2007. Lebanon: Post-Conflict Environmental Assessment. Nairobi, Kenya.